Happy Wednesday! I hope you're having a great week! We've been having the craziest weather here. It does not feel spring like at all. One day it's freezing and rain and then the next day is crazy warm. Then back to cold for a week. I am totally ready for warmth whenever Mother Nature is ready. Hopefully sooner than later! We have a great new sketch this week at Freshly Made Sketches. Our hostess this week is the amazing Linda Callahan! Linda always makes such creative cards. She also has some amazing stories that I love to read and giggle about! 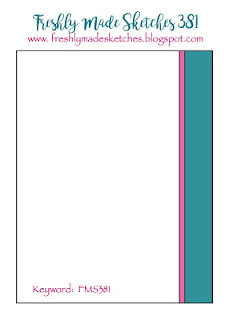 Linda's sketch stumped me for a bit and then I decided I had better tackle my Mother's Day cards. And I totally know my sweet mom is reading this and now she knows what her Mother's Day card looks like. Sorry mom! I hope you still love me!!! I decided to colour the flowers with my Stampin' Blends. I probably will never get into Copics but I can handle the SU markers! I don't have to think too hard when using them! I tried to pull an Amy O'Neill with my thread but it didn't turn out too well. I tried though! Thanks so much for stopping by today! I hope you'll head over to the Freshly Made Sketches blog and check out the gorgeous cards the Design Team has created for your inspiration. Happy Wednesday! I hope you're having a fantastic week so far! It's been a good week here! I went for a walk last night and was encouraged to see the tulips starting to grow and the robins yanking juicy worms from the ground. The golf course is open - though it's awfully wet so the boys are itching to get out golfing!! I think they may have to wait a little while longer!! We have a great new sketch this week at Freshly Made Sketches! Our hostess this week is the amazing Jen Mitchell! 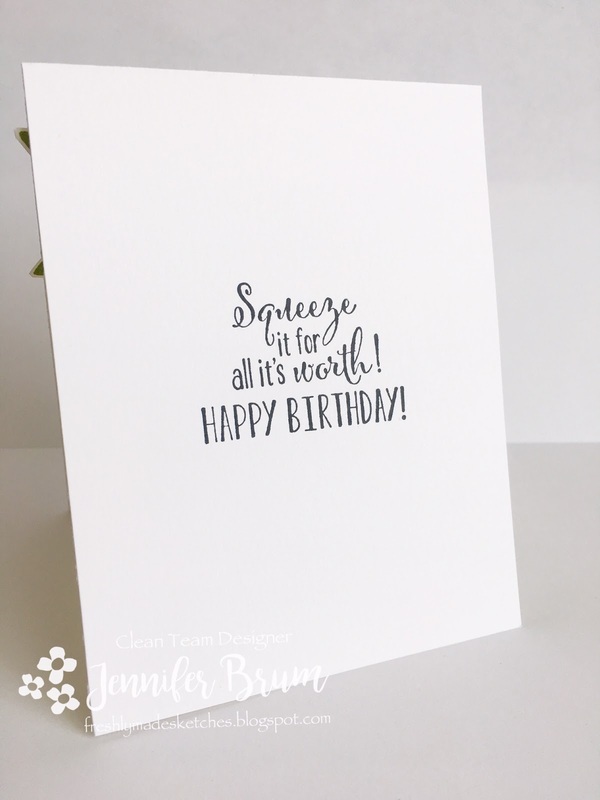 Jen makes the most gorgeous cards! She is the queen of clean cards! I adore her clean style! Maybe when I grow up I'll be able to create cards like her!!! Jen's sketch this week is so fun! I have a little confession to make though. 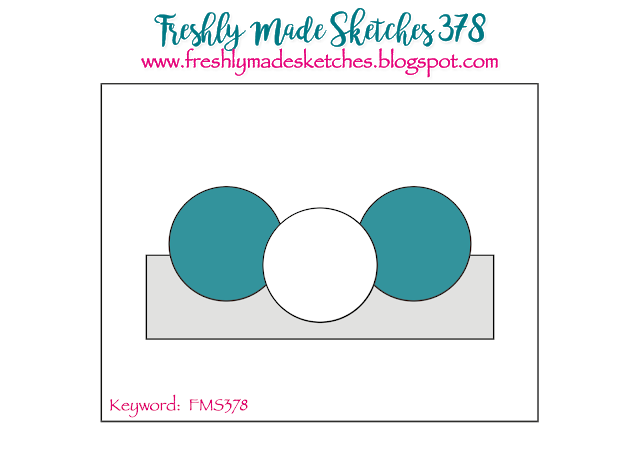 I don't just struggle with circles, I struggle with all little shapes! That square may as well had been a circle! I decided to totally rebel and go with some sunshine and clouds instead! The sun and clouds are some of my favourite dies ever!!! I used the Ruffled embossing folder for the sky - though I probably should have used one with clouds on it! Thanks so much for stopping by today! I hope you'll head over to the Freshly Made Sketches blog and check out the amazing cards the Design Team has created for your inspiration! They are are incredible! I'm so fortunate to get to work with such a talented group of ladies each and every week! Happy Wednesday! I hope you're having a great week! It's been a pretty good week here! Maybe not the springiest weather I have ever seen but at least it's not snowing! It did snow on the weekend and the robins were really unimpressed! I can't get over how slowly spring seems to be coming!!! I guess it will be here soon enough! 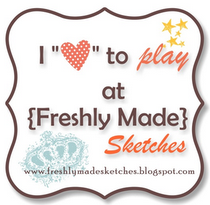 We have a great new sketch this week at Freshly Made Sketches! Our hostess is the one and only Jen Timko! Jen creates beautiful cards and has turned herself into a colouring genius! Head over to her blog to check them out! I may have had several rounds of this card. I just could not get the colours right. Even now, I'm not over thrilled with it. Sometimes I make myself wonder!! I just loved that flower paper and really wanted to incorporate it into my card! I also wanted this card to be an encouragement for a friend so I knew which stamp set I wanted to use but I struggle when it comes to colour combinations! I would do better if everything was black and white!!! Thanks again so much for stopping by today! I hope you'll head over to the Freshly Made Sketches blog and check out the gorgeous cards the Design Team has made for your inspiration! Happy Wednesday! I hope you're having a great start to your week! We are slowing easing into spring here in Southern Ontario. It's been fairly nice so far. Not exactly warm but at least our snow has melted. Where my parents live though (about 5 hours away), they are still loaded with snow which at the rate we're going may be there until June!!! My boys were out on the golf course on the weekend (it's not open yet) hitting some balls around and getting in a little spring training. Let's say they're a little rusty but thankfully it doesn't take long for them to get into the "swing" of things!! We have a great new sketch this week at Freshly Made Sketches courtesy of another one of our newest team members Lee Ann Barrett! Lee Ann's cards are just beautiful and her colouring is fantastic. I may have to go and visit her for some colouring lessons!!! 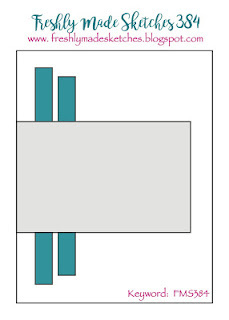 This isn't the first card I made for this challenge. I went back and forth a few times with different sentiments and different elements. Nothing looked quite right. 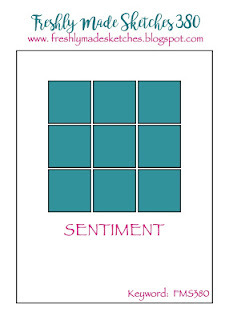 I finally decided on this one and then put it all together and realized this isn't the sentiment I wanted to go on it. Insert eye roll. Seriously. My brain hasn't been working well lately! Thanks so much for stopping by today! 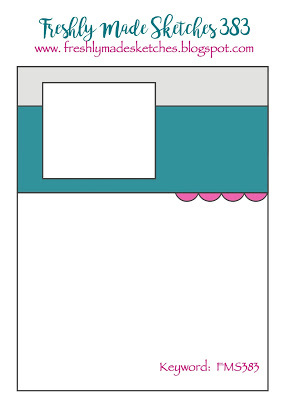 I hope you'll head over to the Freshly Made Sketches Blog and check out the gorgeous cards the Design Team has created for your inspiration! We can't wait to see what you come up with this week! Happy Wednesday! I hope you're having a great start to your week! We are coming off of our March Break here! We had a great week with my parents! It was nice and relaxing. The boys were able to play a ton of driveway hockey on their huge driveway! We also took in the War Museum in Ottawa. Such a great museum. The kids really liked it and it's very well done. I highly recommend it if you're ever in the National Capital! We have a great new sketch at Freshly Made Sketches this week courtesy of one of our brand new designers Jacquie Southas! 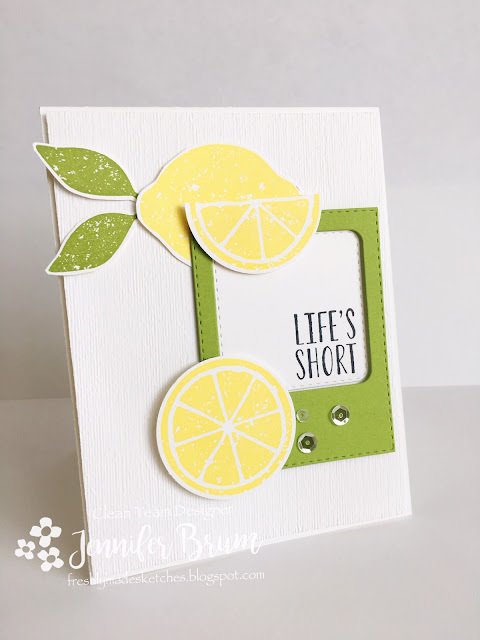 Jacquie's cards are gorgeous and super creative! Head over to her blog to check them out! As soon as I saw the sketch I knew that I didn't have any squares that would work but knew I had some sweet little butterflies that would work perfectly! I decided to do all black with one shimmery blue! Thanks so much for stopping by today! I hope you'll head over to the Freshly Made Sketches blog and check out the gorgeous cards the Design Team has created for your inspiration! Happy Wednesday! I hope your week is going well! We are heading into March break here and we're pretty excited about it. That being said, I don't think my kids have had a full week of school since January. Between snow days and PA days and holidays it feels like they're never in school!!! Oh well. I also consider March break to be the end of winter in Southern Ontario. This year, I may be off a bit. We still have enough snow on the round and it's freezing outside!! Hopefully by next week things start to change! We have a great new sketch this week at Freshly Made Sketches! Our hostess this week is the amazing Amy O'Neill. Amy is our resident elements expert. She can create the most intriguing cards. I just love them. Head over to her blog to check them out! Amy's sketch is great! I started out with different flowers and leaves and other things and finally realized I needed to get out my trusted favourite - Botanical Builders! I just couldn't help it! I love those flowers so much! 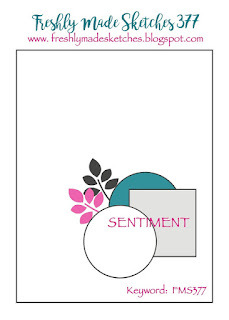 I opted to add in some purple to this card since I do love a good purple card! I embossed the purple panel with the Pinewood Planks embossing folder to give it a bit of texture. I wanted to use some DSP of some sort but couldn't find any that I liked! Thanks so much for stopping by today! I hope you'll head over to the Freshly Made Sketches blog to check out the amazing cards the girls have created for your inspiration! They are truly creative ladies! Happy Wednesday! I hope you're all having a great week! We are expecting more snow today. I can't believe it. We never get this much snow in a winter. My kids are lucky to get one snow day a year and we're already at 3 and today could be one too!!! Seriously, winter needs to top!!! Anyone else agree with that? 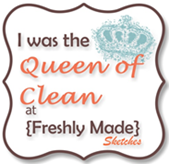 We have a great new sketch today at Freshly Made Sketches! Our hostess this week is the amazingly talented Narelle Farrugia! Narelle creates the most beautiful cards by fussy cutting intricate flowers! I absolutely adore each and ever card she makes! I must admit the sketch kind of threw me and my card is a very broad interpretation of the sketch and I apologize for that now! I went with my Lemon Zest stamp set and some Pineapple Punch Ink! I just love how bright and cheery that ink is! Makes my day! I don't know where I got the frame die cut...it was just sitting in my die cut folder! 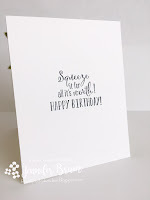 I hope you'll head over to the Freshly Made Sketches Blog and check out the gorgeous cards the Design Team has created for you. This content is the sole responsibility of Jennifer Brum. 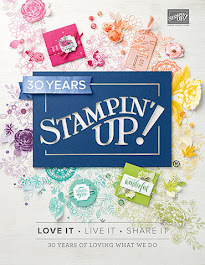 I am an Independent Stampin' Up! 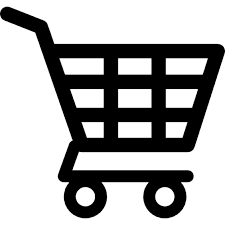 demonstrator and the use of and content of the classes, services, or products is not endorsed by Stampin' Up! 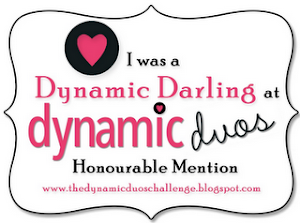 Stamp images are © 2015 Stampin' Up! unless otherwise indicated.